What did people think about Magic Gate? I took one star from rating because even with good payouts in general normal play is too boring sometimes. You can’t win anything really good during it, and all your attention paid to scatters, when you finally get 3 and get so needed feature. Having to find 2 scattered clowns on a spin. They will pay but they will do this maniacal laugh that they might plot an evil plan when they leave. My idea, I’m walking backwards into a corner as the clowns were closing in with there horrifying laughter. (Trembling in fear) On a serious note the bonus game really S u c k s! There aren’t any big prizes that I found on here! This must be one of the least likeable progressives in the Gold Jackpot Series! Seriously though, there are very interesting jackpots to be won randomly but a sh*tty bonus round to show off with!? It does not make any sense for players like me to witness this cr*p! What more can I ever say about any game that I could only play with 7 spins? I don’t really like anything about the game though, not even the jackpot prize, which was, or is, way too little to be really chasing for anyway. Where jackpot prizes are concerned, it can only be Mega Moolah, Mega Fortune or Marvel Super Heroes Jackpot, nothing else can compare. One minus in game is RTP what is too high and for sure should be not 95% but 97% at least. I had a bit of cash on my account and I was going through all of the games trying to see if I can find something new and awesome. I spot this game and decide to give it a shot. Like a fool I decide to bet big in case the bonus comes out and start playing on в‚¬1.25 bets. I do about 20 spins and nothing comes out. I get tiny wins that are smaller than my bet and find myself wondering to what I need and what pays big. So I open the pay table and find out that I need fire on first and last reels to get the feature. Once I find that out I start noticing fires coming out a lot on the first reel and think that the feature is coming. Time passes and I keep on spinning, first в‚¬20, then в‚¬40, now its в‚¬60 and still no feature. It has become personal and I just got to get the feature. I hit a line hit for about a tenner and think positive. Maybe now the feature will come out. My losses add up to around в‚¬80 and I realize that the feature is not coming. Neither raising bets or double tapping help and I finally make myself quit this game. By now a task of getting the feature has gone from hard to impossible. A horrible first experience that made sure that I never play this game again. All that money wasted and I don’t even know what the feature is. Because of this experience I would recommend to all to stay away from this game. Over all a complete tease and very greedy game. Not a single win over в‚¬15 or the feature. My rating 1 out of 10. We believe that Magic Gate from Red Tiger, which was released 02.01.2017 with RTP 96.1% and Volatility – N/A are worth to play. And remember that is have 3 PAYLINES AND 5 REELS. This and 20 BETWAYS give a chance to win 200000 JACKPOT. 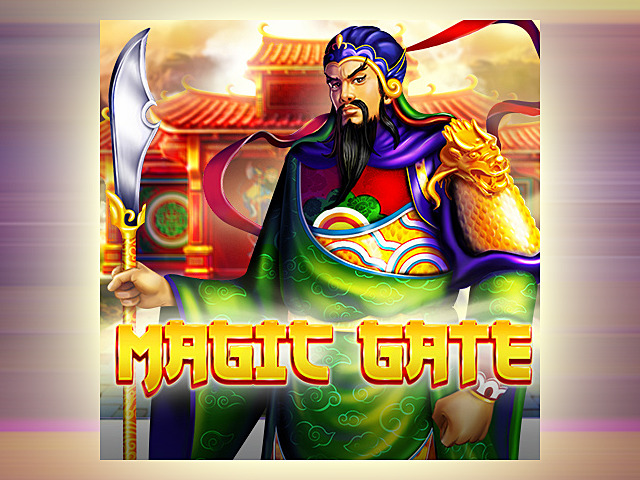 You should try to play in Magic Gate with 0.2 MIN BET AND 500 MAX BET.